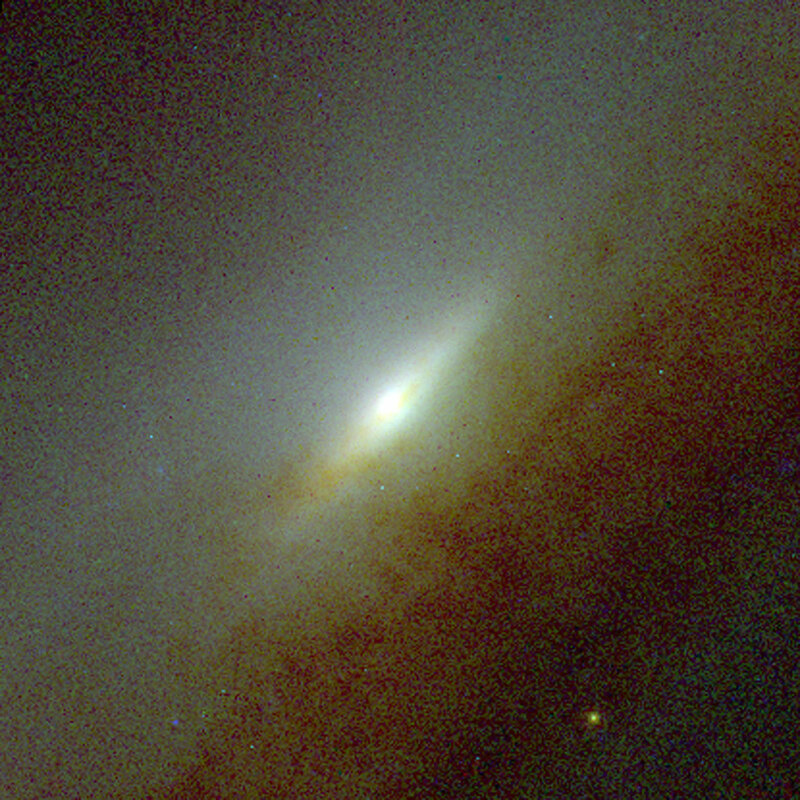 The Hubble Space Telescope is uncovering important new clues to a galaxy's birth and growth by peering into its heart - a bulge of millions of stars that resemble a bulbous centre yolk in the middle of a disk of egg white. 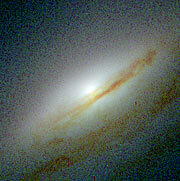 Hubble astronomers are trying to solve the mystery of which came first: the stellar disk or the central bulge? Two complementary surveys by independent teams of astronomers using Hubble show that the hubs of some galaxies formed early in the Universe, while others formed more slowly, across a long stretch of time. 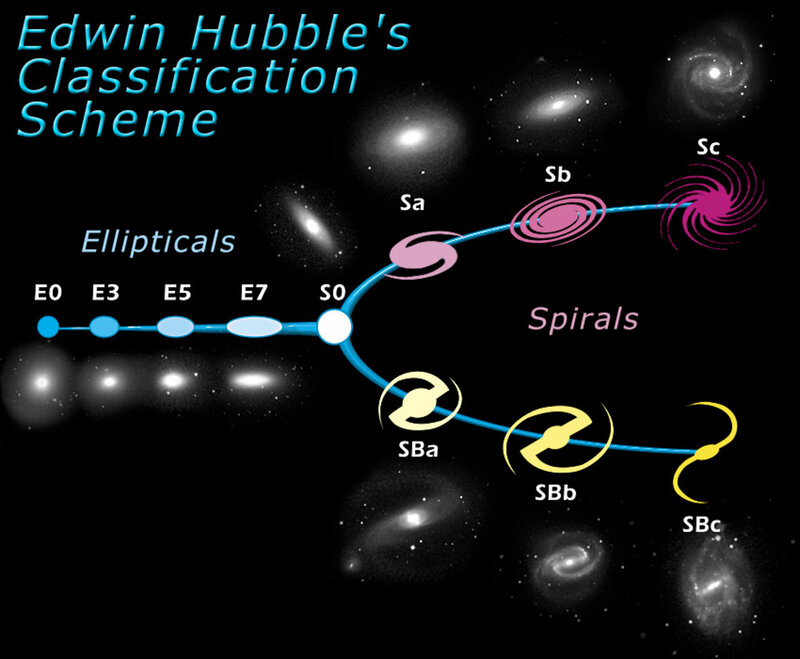 Hubble confirms that the evolutionary paths of bulges and disks are connected. The central bulge stabilizes a galaxy's development and largely controls the ebb and flow of star birth in the core. 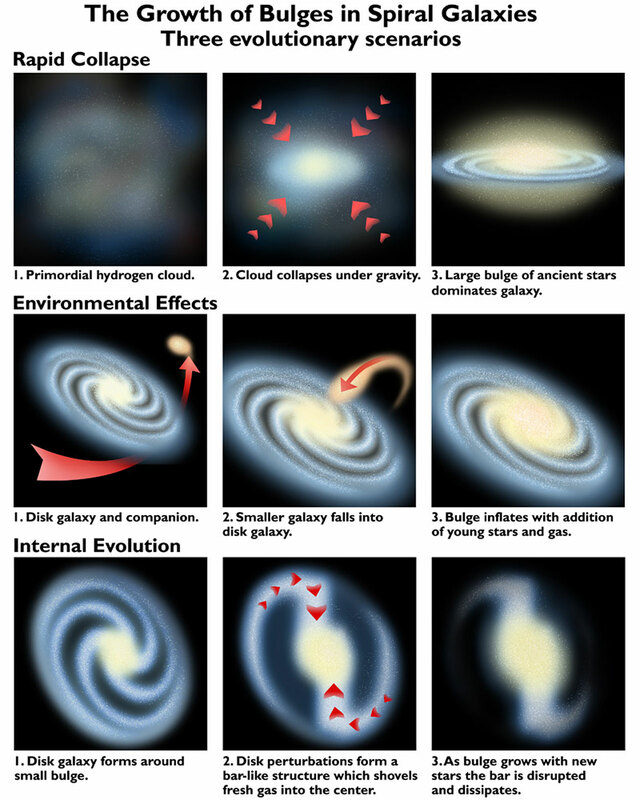 The central bulge holds secrets as to how and when a galaxy formed. Before Hubble, astronomers had detailed information only about the complex core of our galaxy, which has a small bulge peppered with massive young star clusters and a telltale bar structure funnelling gas to the centre. 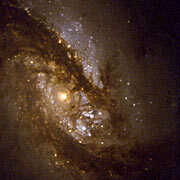 Hubble allows astronomers to see bright star clusters, bars and other structures deep inside the bulges of other galaxies. 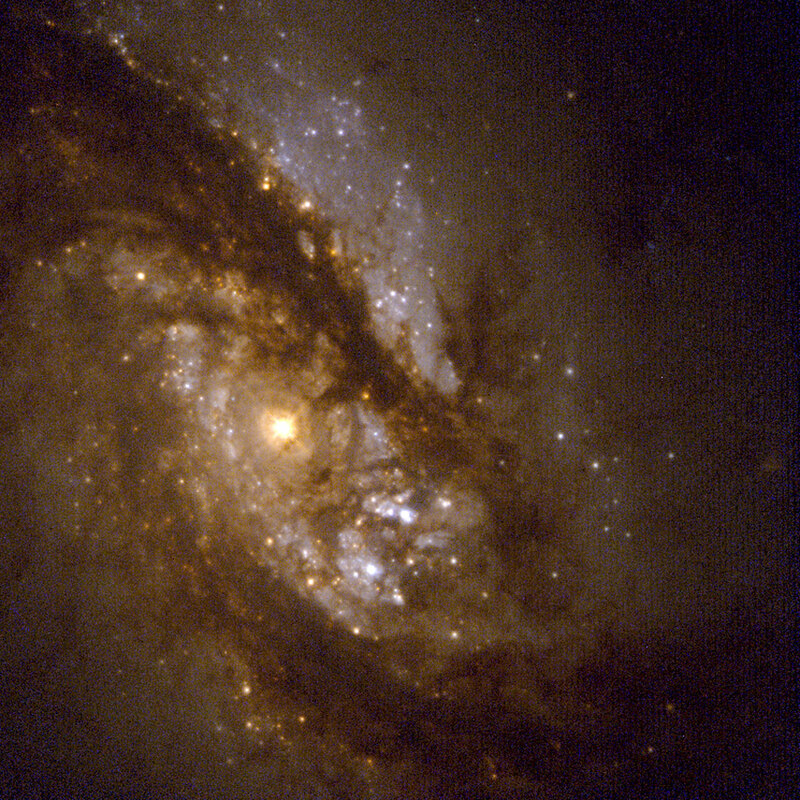 Both surveys used Hubble's precise resolution to peer into bulbous hubs of more than 200 neighbouring galaxies, out to a distance of 100 million light-years. 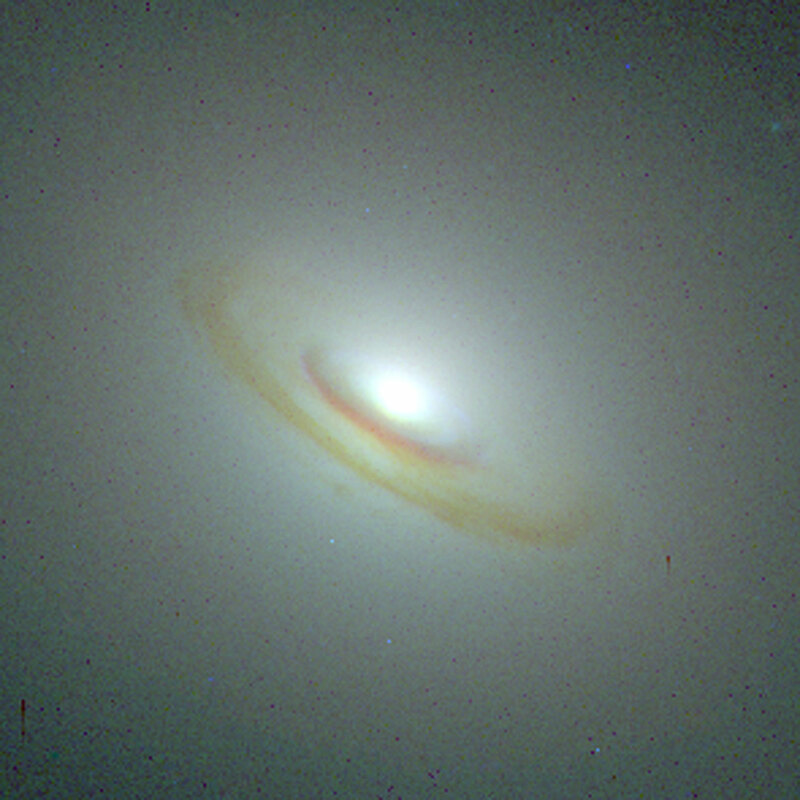 Using Hubble's visible-light and infrared cameras to penetrate deep into the cores of the galaxies, astronomers were able to untangle the stars' true colours - a measure of age - from their apparent colours, which are made redder by interstellar dust. 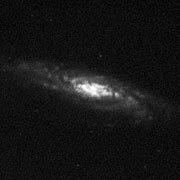 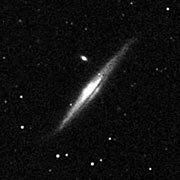 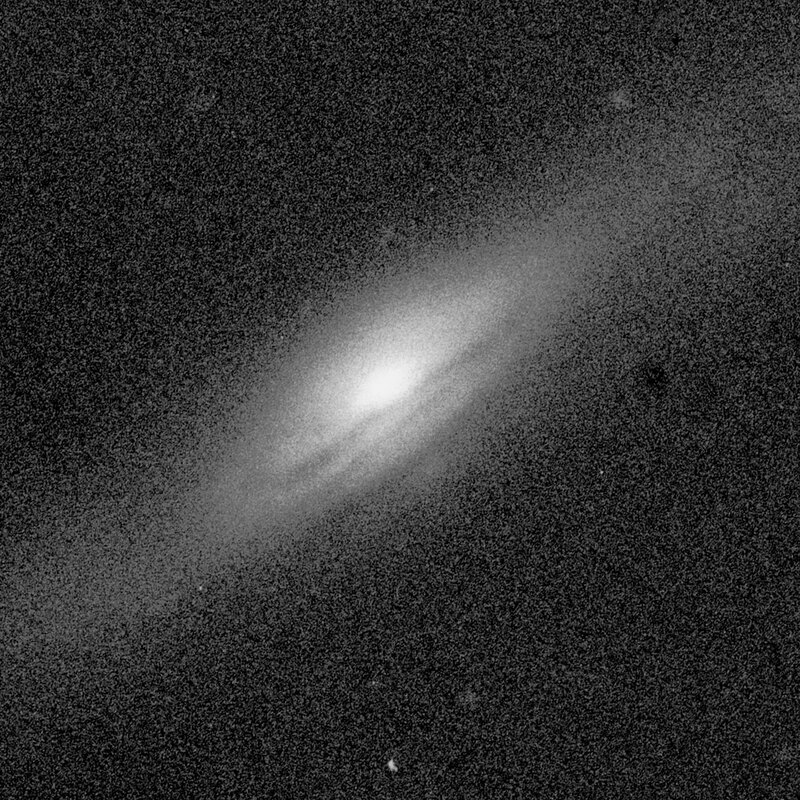 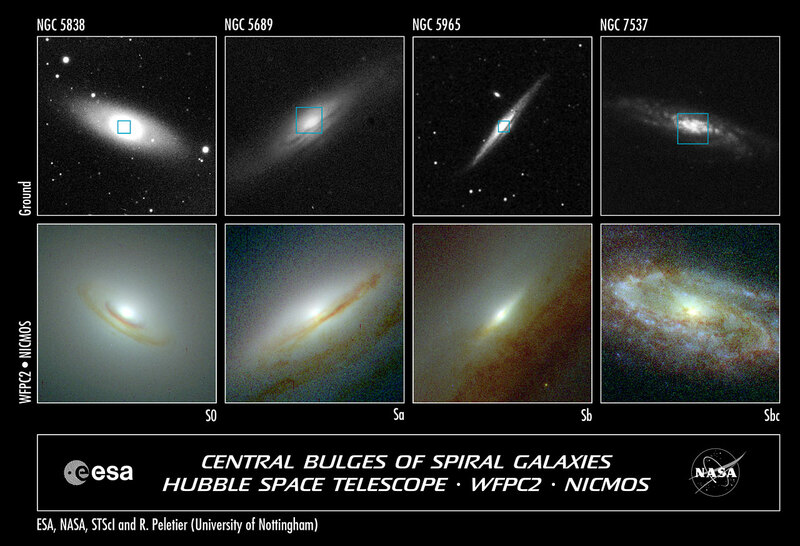 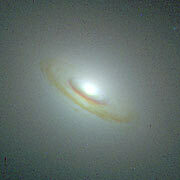 Peletier's team used Hubble to look into the centre of 20 spiral galaxies that have large bulges. 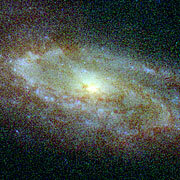 The team found that elliptical bulges of stars formed over a relatively brief period very early in the young universe. 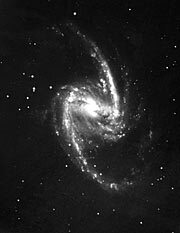 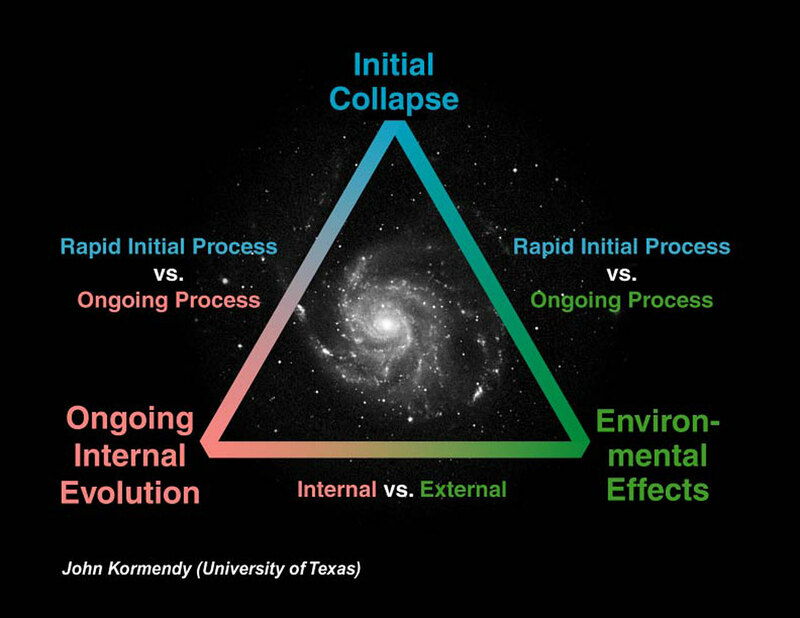 This could have happened through the collapse of a single cloud of hydrogen or merger of primeval star clusters. 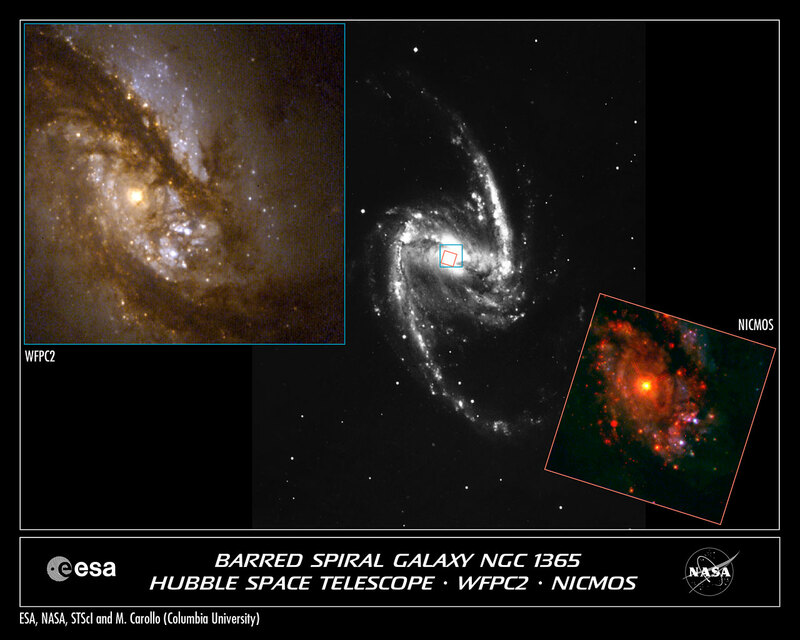 Carollo's team found that in a different class of spiral galaxy, a small bulge probably formed early on, but was later fed by gas flowing into the galaxy's core, likely along a bar-like structure caused by instabilities in the surrounding disk of stars. 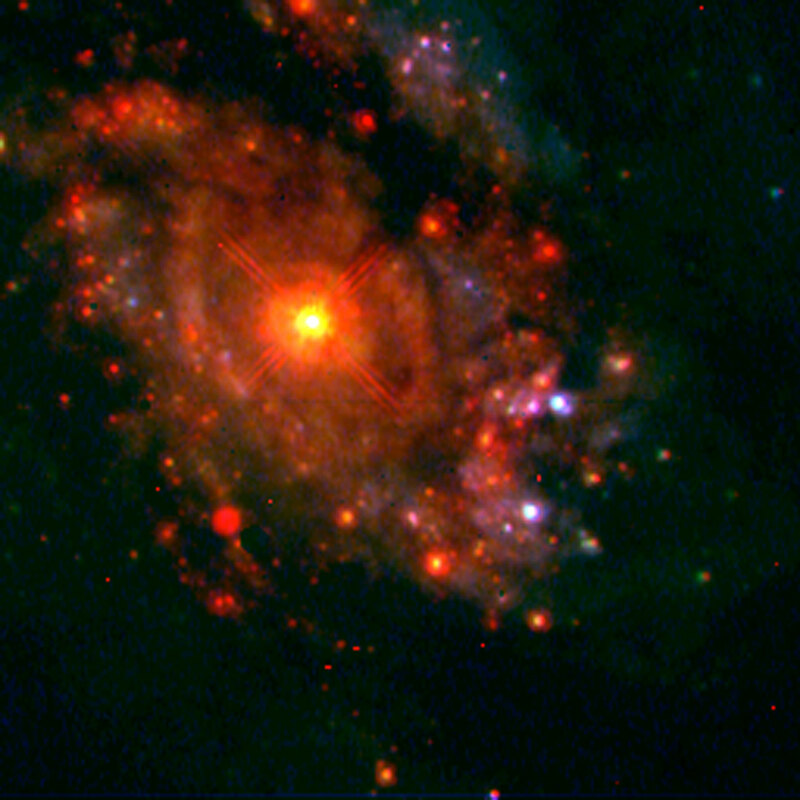 The gas fueled the birth of new stars, and the bulge inflated like a beach ball as brilliant star clusters populated the centre. 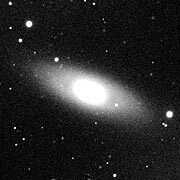 Carollo's results, to be published in the 1O October issue of Astrophysical Journal, show young and old stars in the bulge. The researchers say that these types of bulges can continue to grow in galaxies in the present universe, but it is unlikely that they will ever become as big as those giant bulges that formed when the universe was young. 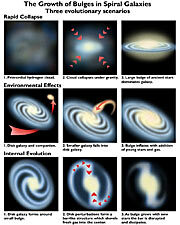 This news note has been prepared in collaboration with Office of Public Outreach at ST ScI (Ray Villard). The Hubble Space Telescope is a project of international co-operation between NASA and ESA.